Wednesday cartoons are baaaaaackkkkk, baby! As is Kristy's randomness - but I'm not going to talk in third person because that's weird. 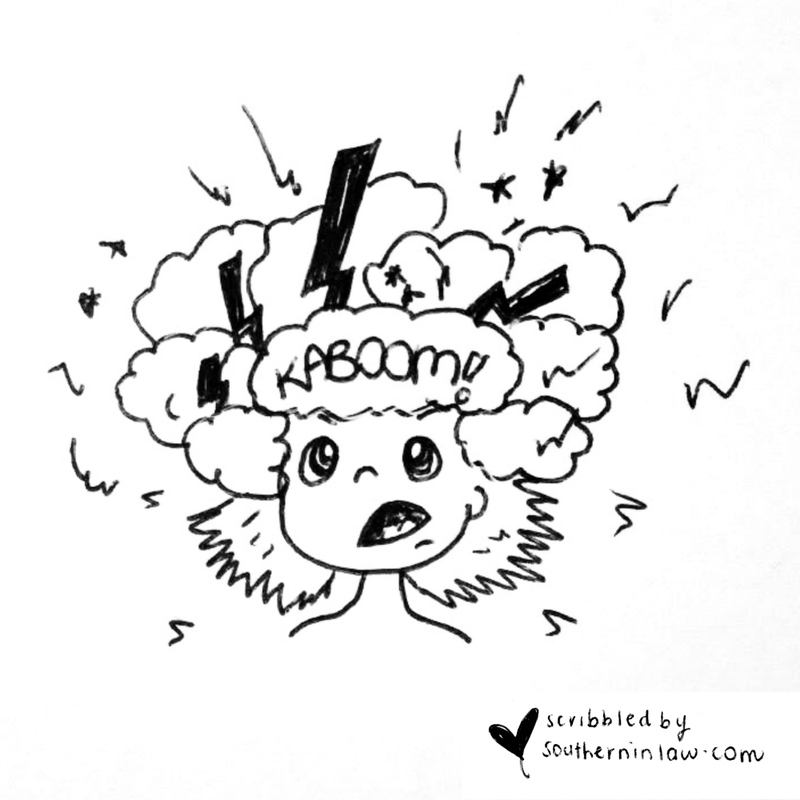 Today I thought I'd ramble on a bit and share the weird things inside my brain right at this moment. To be honest, I didn't really know how I was going to put this post together - but then I started drawing and decided I needed a header image made up of all my favourite things (finished off with myself in a super "Kristy" pose because I don't know how to be serious for more than 0.0000005 seconds unless I'm working) and yuh, the rest is history my friends. So here's what's floating around inside my brain right now. 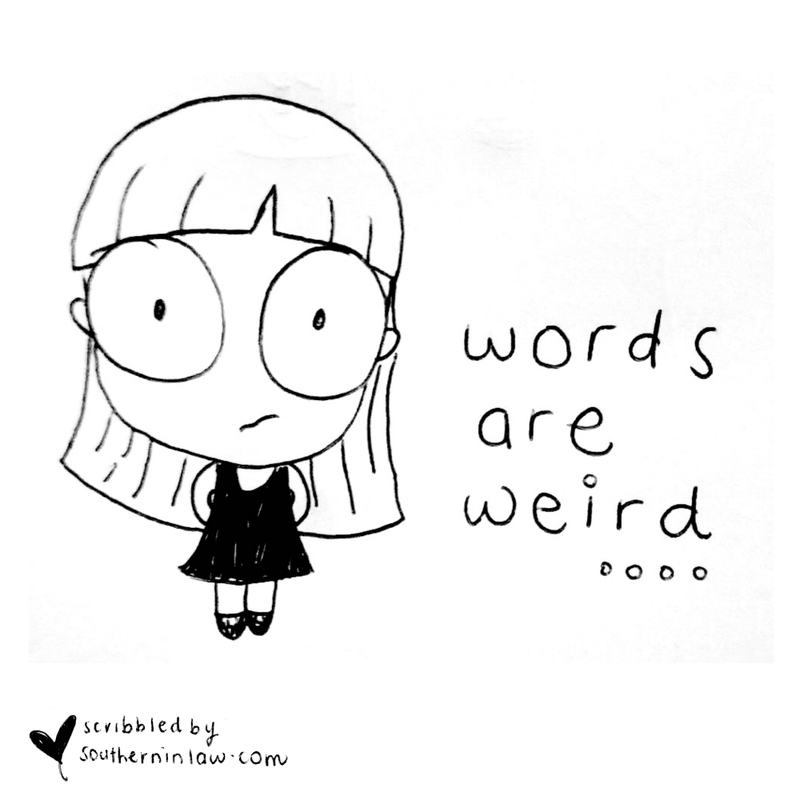 Being a writer kind of makes me a bit of a word dealer, I suppose.... but yesterday I realised that words are really really weird. I had this moment of mental clarity where I totally blew my own mind. Why? How? 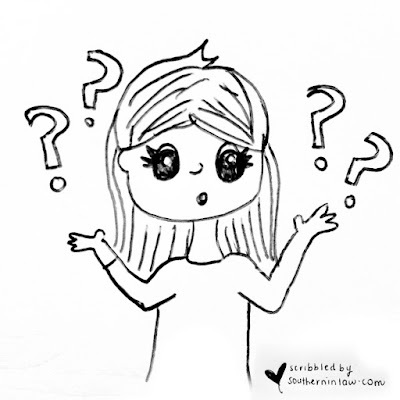 Because I realised that the word ambiguous only has one meaning. 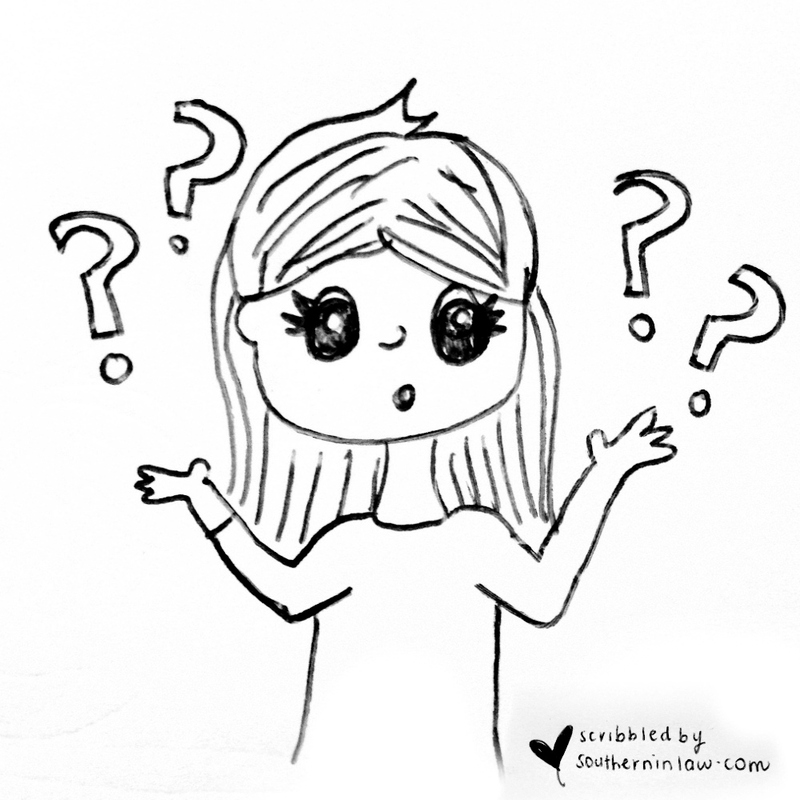 What does ambiguous mean? Open to more than one interpretation; not having one obvious meaning. I told you, words are weird.... the one word that's supposed to explain words having multiple meanings only has one meaning. But it's not just words. Sayings and phrases are weird too. Like when people say "like a boss".... (and I say it too, don't get me wrong).... but then I realised that if you did something "like a boss" you'd either be a small business owner and do it yourself - or you'd pay someone else to do it.... so you're kind of saying you're a not-so-big boss when you do something like a boss. I'm a "boss" but to be honest, I'd much rather be a CEO-y boss..... because then I could buy a unicorn. And another thing I realised lately.... why do you need a math degree to fill in a captcha code? Some are okay, it's like "type in 50349" and press enter (though let's be honest, I struggle with the letter ones sometimes.. is it a capital? is that an l or an uppercase I?) but others? They're total math equations. I went to comment on a blog the other day and instead of the usual what's 5+4 equation it was full on division. I'm pretty good at math but when I'm tired and just can't be bothered you can bet I'm hitting that calculator tab. 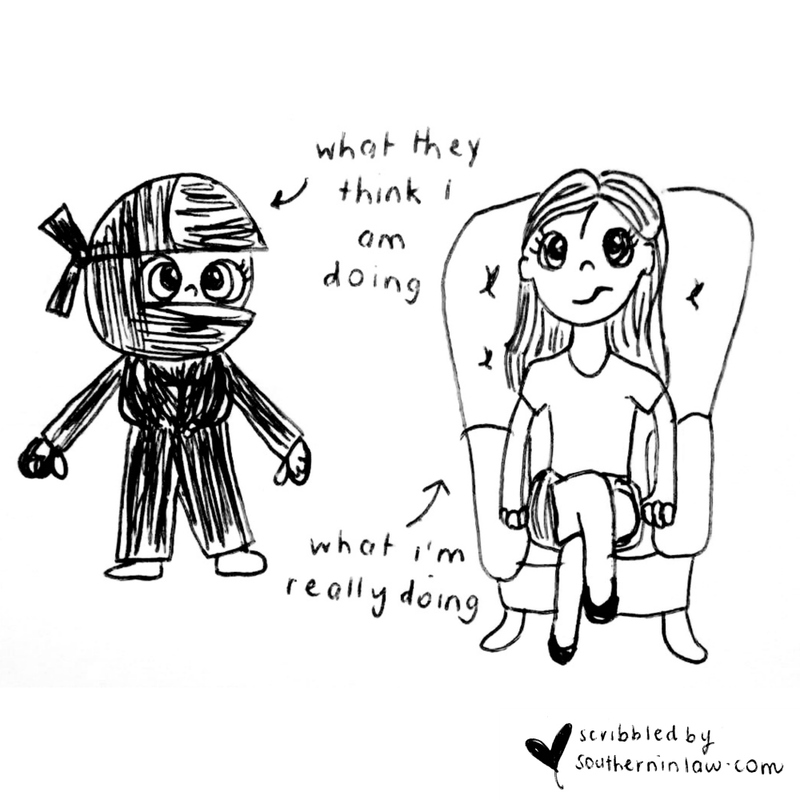 I think I've said this on the blog before, but in our house I'm known as "the ninja". Why? 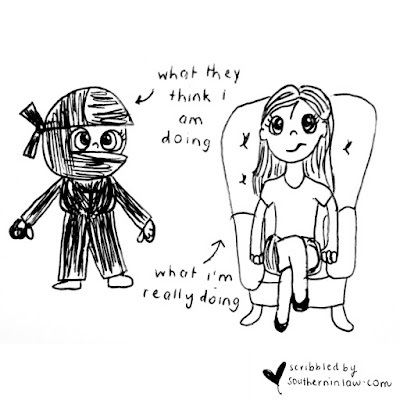 Because apparently I have serious ninja abilities that I never even had to train for as I manage to "hide" in plain sight. sitting on the couch, only to have someone walk right by/in front of me calling out "Kristyyyyy! Where are you?!" standing at the fridge filling up my water bottle (we have a water dispenser on the outside of our fridge... that's not my preferred water filling spot or anything) only to have my Dad literally try to walk through me as he never noticed I was standing there. finding myself lying in bed waiting for Jesse for what feels like forever, only to realise he never saw me walk right past him and is currently looking for me around the house - or waiting for me to leave wherever he thinks I am and pass him. 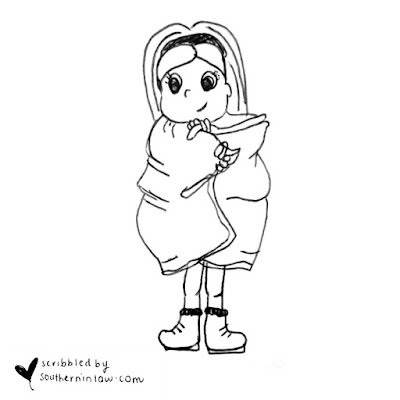 Also, why is wearing blankets in public not a thing? I feel like it's something everyone wishes they could do, but no one does. Is there some kind of imaginary no-blankets-in-public law? Who makes up these weird social etiquette rules? (I bet they're the one walking around in a blanket laughing at us all.... or they probably invented sweaters or something un-blankety). Actually, that's probably why ponchos were invented.... and that is probably the reason I bought a really thick poncho on the weekend and wore it to church on Sunday. 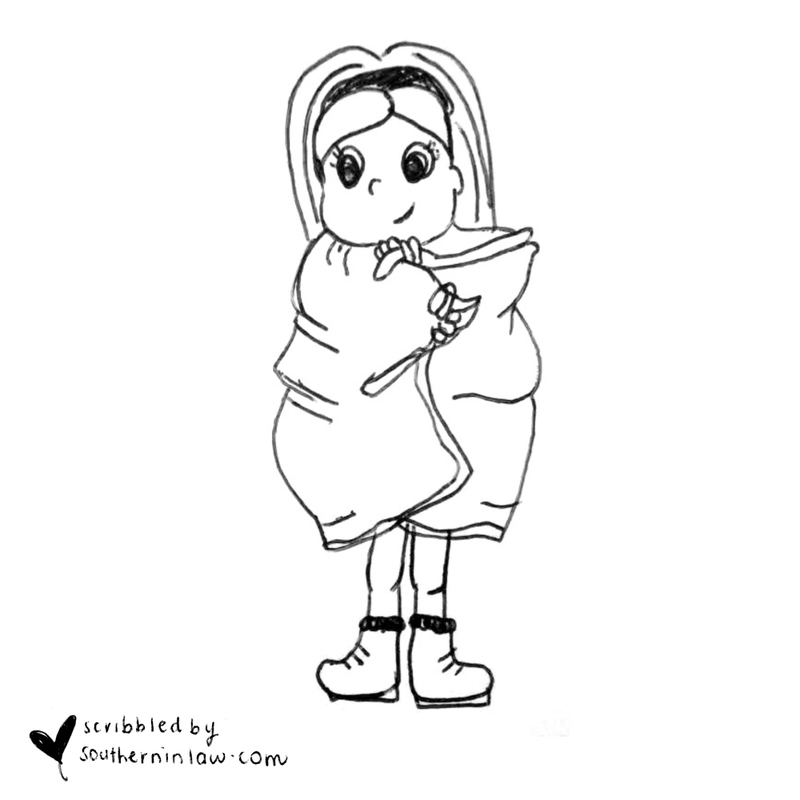 And just FYI, it's REALLY hard to draw a cartoon wrapped in a blanket. In the spirit of full disclosure, I drew that cartoon three times and that was the least sucky version. This morning I realised why my life is probably so complicated. You see, I currently have nine jars of nut butter open (plus two jars of coconut butter because I've decided one is more coconut oil-y and the other is more coconut butter-y - they are different types though so I'm not that crazy). 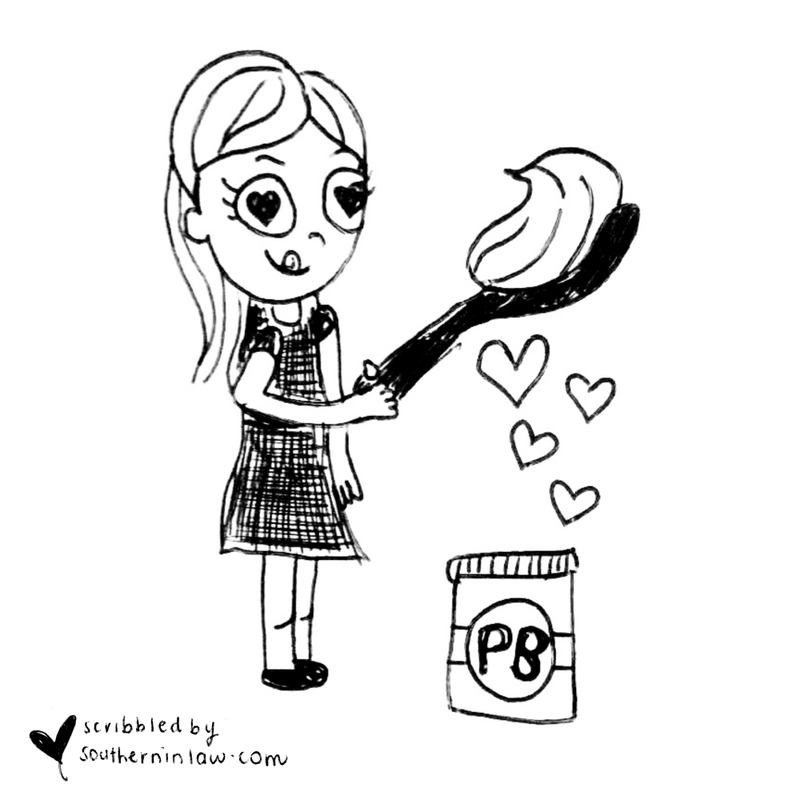 I literally have to make a decision between NINE things everytime I want something with nut butter. 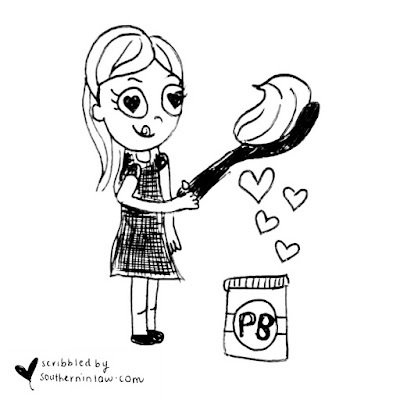 And you probably think I'm exaggerating about the nut butter addiction.... but the truth is, as I was writing this I was interrupted as a courier arrived at my door with my latest iHerb order. Inside the box? Er, two more jars which are not curently in my pantry.... so the total will soon be 11.... or 12 because I saw that Pic's Really Good Peanut Butter is on sale for half price and well, if it has really good in the name I kind of have to buy it? And now I've gotten to the bottom of this post, scrolled up and read what I've said and I'm thinking "wow Kristy, you really need a holiday".... or a mental vacation.... or a mental asylum.... same same. So tell me, what's something random that's on your mind? And what's something that you wish was a thing? There are many things I wish were things... blankets in public, mandatory three-day weekends, wearable heaters, work-from-bed acceptability (I don't know if that's a term but we're rolling with it because it's not even a thing to begin with so terms fly out the window). PSSSST; Bloggers! 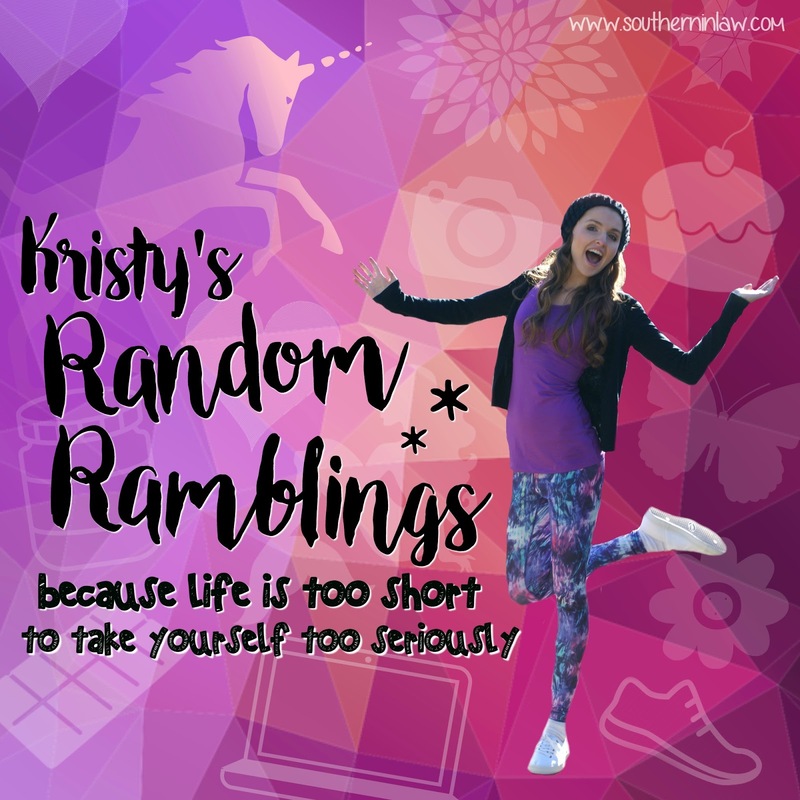 A couple of you emailed me last time I did a ramblings post about a link up. If you're interested, let me know and I'll put it together - because life really is too short to take yourself too seriously.